Dr. Kari Visser-Robel & Dr. Bailey Pearson - Kari Visser-Robel, O.D. We are an eye doctor's office located in Gaylord, MI. 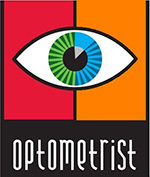 We are excited to provide you with your eye care needs. We are pleased to welcome you to our website. If you're looking for quality care with a personal touch, we hope you'll give us a call. We look forward to the opportunity of serving your vision needs. We are conveniently located in downtown Gaylord and would be delighted to have you as a patient. You will be treated like you are the most important patient we have. You'll see the doctor or technician quickly because your time is important. You'll receive the time that is needed to fully assess your medical eye health condition and answer any questions you may have. You'll have only the best products prescribed or recommended to deliver the care you need.